Jill Stewart Evenson, daughter of George and Ted Stewart, passed away late last month of complications from surgery. She was 90. Named Jane, but always called Jill, she was born in 1925. She lived a long and interesting life, leaving home to move to San Francisco in the 1940s, marrying Morris Evenson of the Painters Union, and raising her family. But she still found time to earn two Masters of Art, one in Educational Research and the other in Art. She worked in Educational Research at the Far Western Lab for Educational Research. After retirement, she helped to coordinate artists’ shows in her retirement. She even wrote some poetry; one poem was highly praised by her author father. Jill was of invaluable help in all the GRS work and projects. In fact, Jill was the one who introduced George and Ted Stewart to Thornton State Beach, and thus, indirectly, to me. When I was researching the GRS biography, Jill graciously invited me to her home in Santa Rosa so I could interview her. Then she arranged with her daughter Anna, the Stewarts’ first grandchild, a chance to review the family photo collection and scan in many of the photos for use in the biography. Jill will be remembered as long as the GRS biography lives. 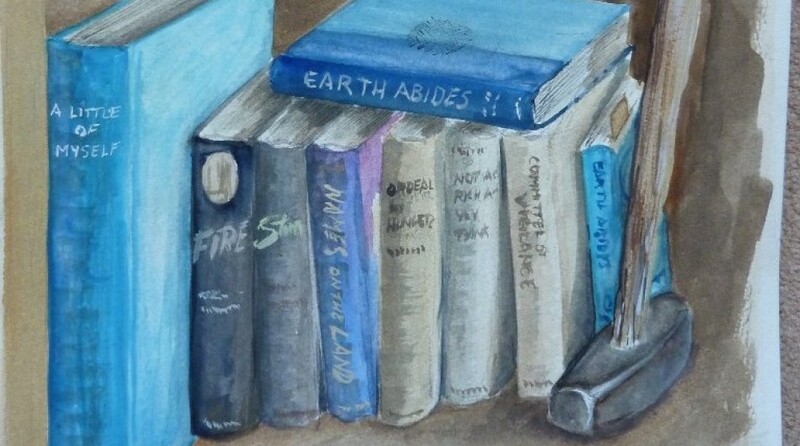 More, she will be known to all who read Earth Abides for as long as that beloved classic survives – it is dedicated to her. Her father gave her the first copy off the press, autographed to her. Jill (in striped shirt) with Jack Stewart (back to the door) and others on Wallace and Mary Stegner’s house, early 1940s. Stewart family Portrait, mid-late 40s. Jill is peeking out at the left. The first Stewart grandchild, Anna, with Jill and GRS. The Life and Truth of George R. Stewart sells few copies, probably due to high price. But it’s made its mark. In an interesting exchange of messages with, David Waldock, a Librarian in the British Library (about the threat to the Archives of the Imperial War Museum from Tory funding cuts), I mentioned I’d heard there was a copy in the Library. Here’s the link to the book in the Library catalog – just in case you’re in England and want to check it out. Once again, the biennial CONTACT Conference is on the horizon. Scheduled for next April 1 -3, it will be, as always, a small gathering of renown scientists, artists, authors, educators and just plain interested folks, who want to consider those meeting places of science and the arts which define and drive change. It will be powered by the energy of STEAM, since it has presenters from and talks about science, engineering, technology, art, and math. There will be filmmakers, authors, NASA and SETI scientists, educators, and others. One of the highlights will be a panel on the art and science of Star Trek; another will be a keynote speech by Rick Sternbach, legendary Star Trek artist, who designed, among other things large and small, the DS 9 Space Station. The conference has a George R. Stewart connection. Stewart was the writer of STEAM works, using the art of literature to interpret science and the other disciplines in the acronym. CONTACT also offered a George R. Stewart Symposium in past years, with participation by composer Phillip Aaberg, geologist Dr. John Stewart, JPL’s Dr. James D. Burke, Stewart Scholar Robert Lyon, and others. Perhaps most important, Earth Abides opened an intellectual door, for me, into the world of real science, and STEAM. The conference is affordable, and the hotel rate low. So if you want a chance to be uplifted and inspired, in a laid-back and collegial atmosphere in which all are welcome, come join us at CONTACT. CONTACT 2016 (our 29th year!) is meeting on April 1-3 at the Domain Hotel in Sunnyvale, CA. The Keynote speaker: Artist Rick Sternbach, well known for his designs and tech manuals for Star Trek, whose presence celebrates the 50th anniversary of the famed science fiction series. There will be a special symposium dealing with Star Trek’s legacy in the sciences and the arts. 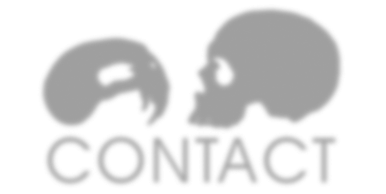 CONTACT has evolved into a premier forum on the future. After a quarter century of our multi-disciplinary conferences, CONTACT includes some of the brightest of the new generation at NASA and SETI, scientists hard and soft, and as well as such exotics as anthropologists, philosophers, poets, filmmakers, historians, mathematicians and space lawyers. And the science fiction community (Larry Niven and Kim Stanley Robinson, this year) always adds a brand of innovative and responsible speculation that has made our conference and organization unique. And more fun for all. Everyone’s a participant!